At Stevenson Valuation Group, we do more than prepare business valuation and economic damages analysis. We stand behind our work and we are prepared to testify to our opinions. 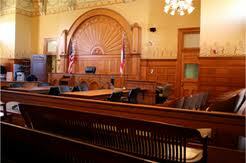 When you or your clients need the benefit of independent, objective, expert testimony, we’re here to help. Whether it includes critiquing another expert’s report, raising key issues, preparing deposition and or trial questions for direct or cross examination, or preparing trial exhibits, our purpose is to offer our knowledge and expertise to your cause.